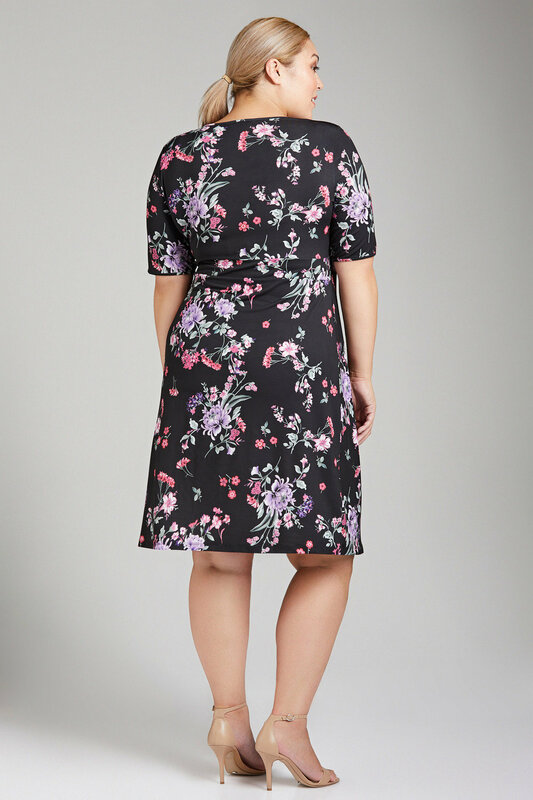 Sara delivers one of the most flattering styles of the season with their Gather Front Dress, available in an absolutely sumptuous floral print with gather and pleat detailing to the waist. Designed to flatter, this dress features a v neck, short sleeves and a cross-over look front to enhance your feminine curves. The smooth stretch fabrication is both comfortable and elegant, ensuring ease of movement and ample coverage. Pair with strappy heels and a clutch, topped off with statement earrings for a stunning party look, or dress down with tights and ankle boots for the weekend or office.